Can you keep your cool under pressure? Escape Room The Game from Spin Master brings the thrill and mystery of an escape room to your home. Work together to solve puzzles and find hidden clues to escape before time runs out! 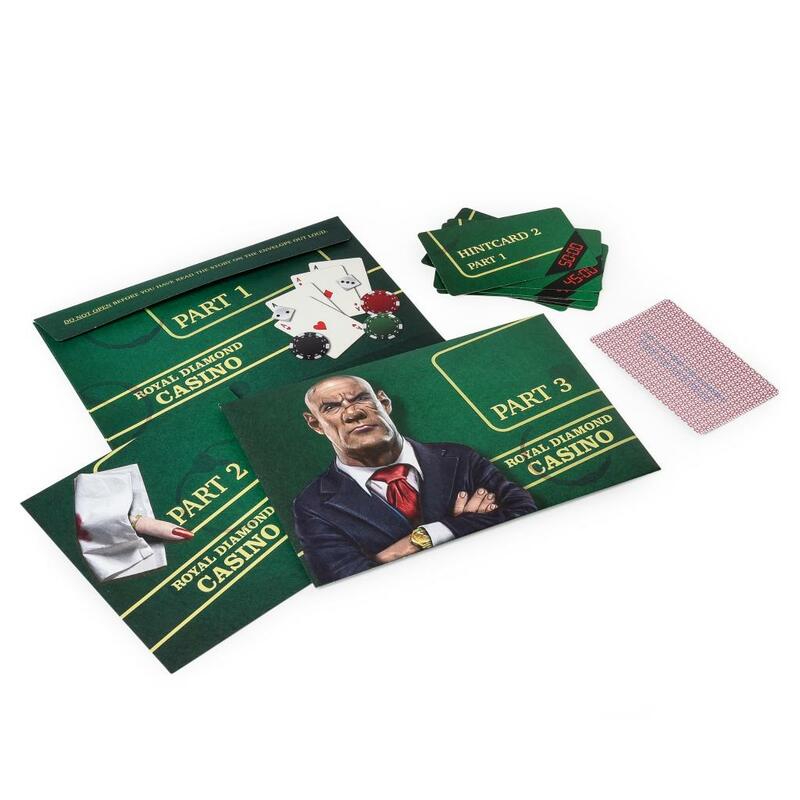 The Casino Expansion Pack puts you and your team in the middle of a conflict with the Trapini family, where you must win enough in an hour to safely escape with your friend Carolyn Carter. 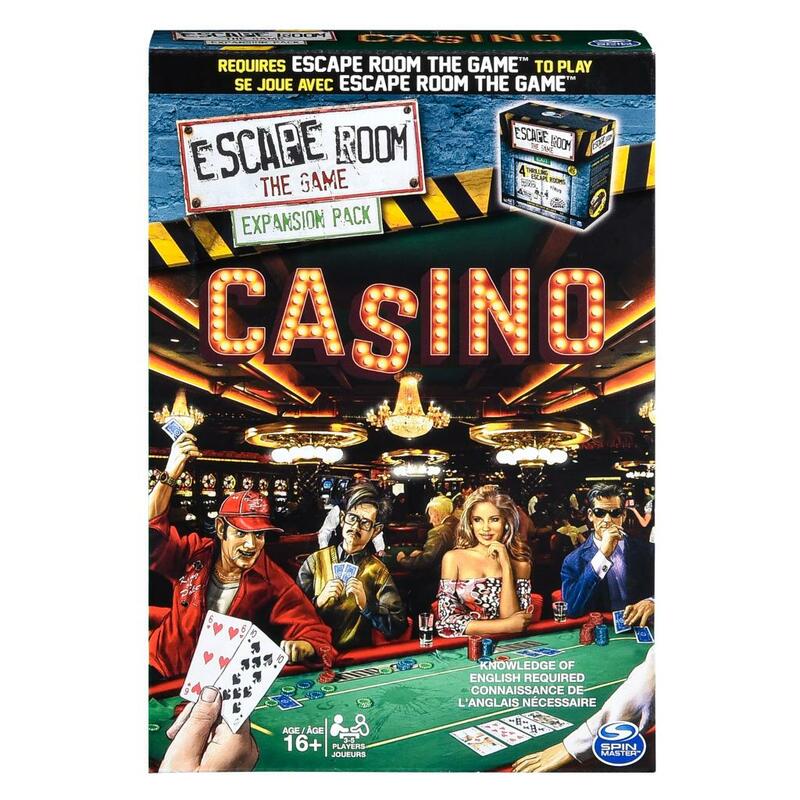 You win or lose together with the Escape Room Casino Expansion Pack. 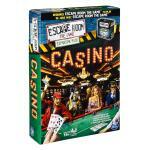 Escape the casino — go undetected and win enough at the casino to save your friend Carolyn Castle and escape the casino. 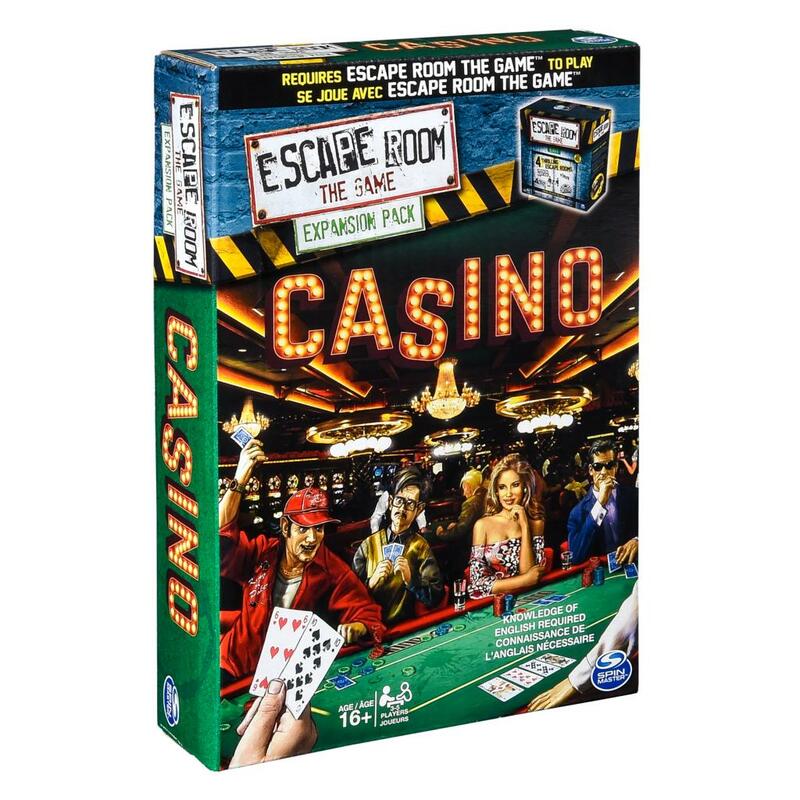 You and your team have 60 minutes to win enough, without getting caught, to save Carolyn and escape the casino owned by the Trapini family. Can you get out in time? The Escape Room Expansion Pack Casino is for 3-5 players aged 16+.